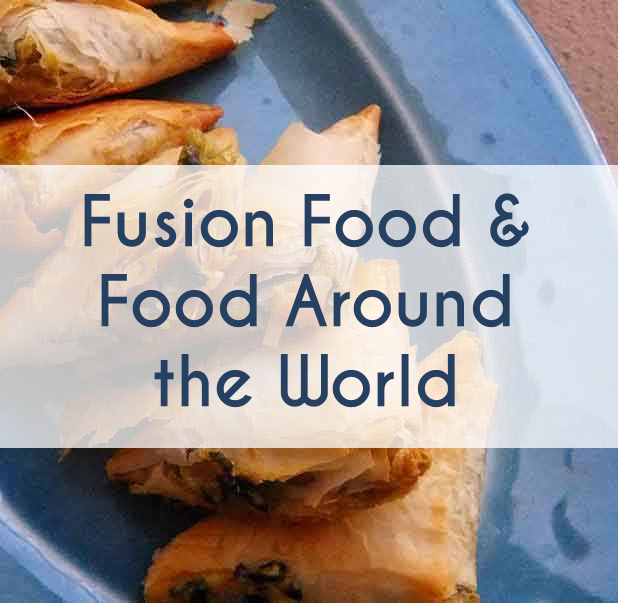 Today we would be talking about a quintessential ingredient to the Indian cooking. 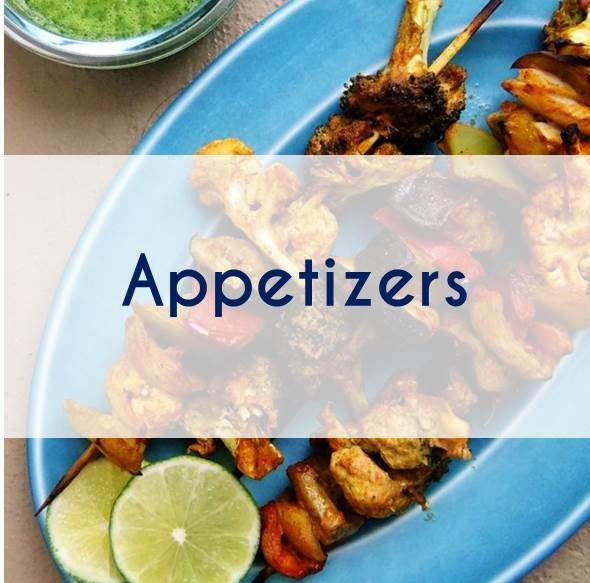 Frankly speaking, I would not shy away from saying that it is the essence, the soul of Indian cuisine. Any guesses? Yes, I am talking about the golden liquid – GHEE. 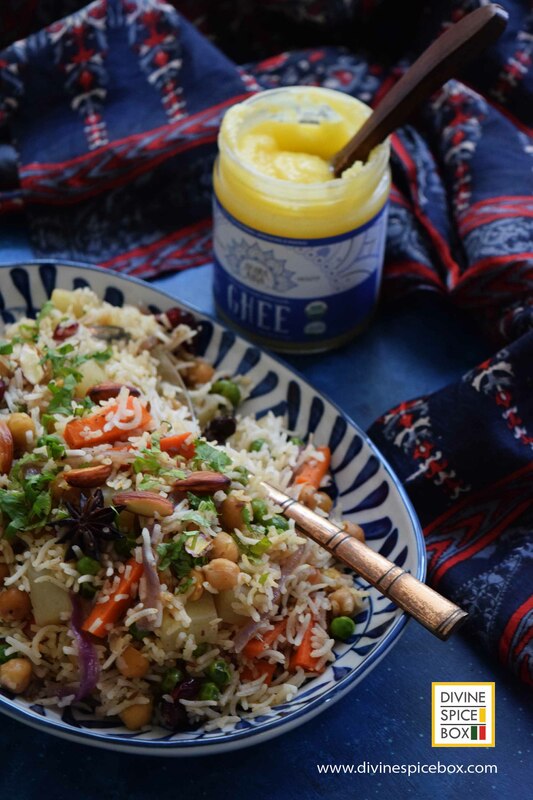 In this review post, we are taking our tasting spoons to try Ahara Rasa Ghee and making a delicious pot of vegetarian pilaf with Indian spices. So, what is ghee? Ghee or Indian clarified butter is basically butter minus milk solids and water…so, all you have is pure goodness which is good for our mind, body and soul! It is widely used for various purposes (cooking, medicine and religious practices) throughout the Indian subcontinent. Traditionally prepared from cow’s milk, ghee is given the holy status in the Hindu culture and is thus considered auspicious for ceremonies such as marriages, funerals, worship etc. Being an Indian myself, ghee has always been a part of my life. To me, it is as important as salt and sugar in my kitchen. Been on a constant lookout for a genuine, authentic brand of ghee in USA, I was pleasantly surprised when I came across Ahara Rasa Ghee (ARG). I got in touch with them and got me some samples to try out in my little kitchen and share my review with you all. 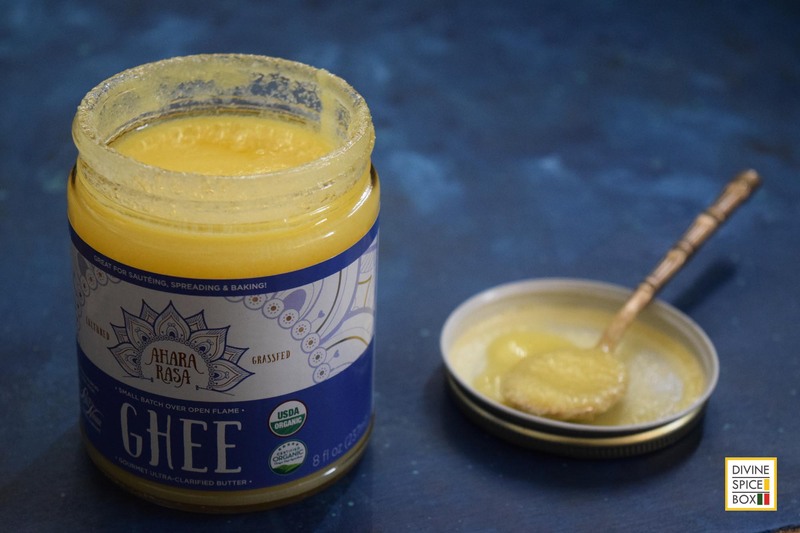 Ahara Rasa Ghee is founded by Andrea Shuman, a practitioner of Alternative medicine for more than 18 years who believes in the healing powers of ghee. “Ahara Rasa” stands for “essence of food” in Sanskrit which connotes the goodness and wholesome energy derived from food. 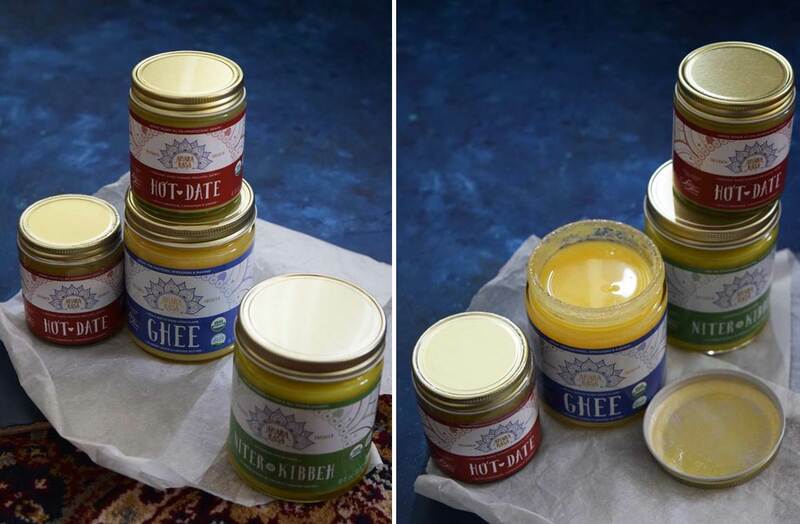 ARG not only makes the original ghee but also has some very interesting flavors, both sweet and savory which gives hints of various spices, herbs and aromatics. Check out their entire range here . The Nitter Kibbeh is traditional Ethiopian style ghee with hints of garlic, onion, ginger and koseret leaves and spices. 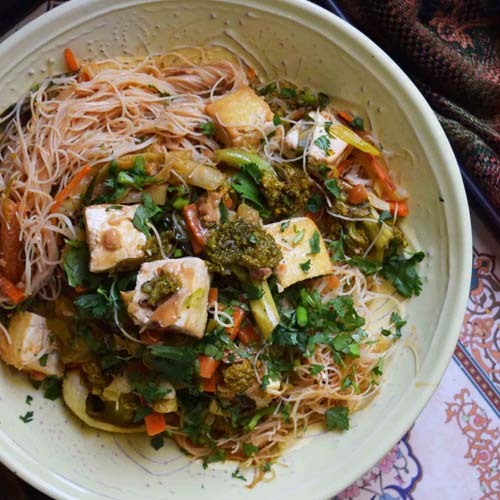 Think dips, stews, omelets, stir fries… yum! The Hot Date on the other hand has dates soaked in ghee along with ginger, cinnamon and cardamom making it excellent to pair with just about anything. I am thinking warm bananas and date ghee waffles! 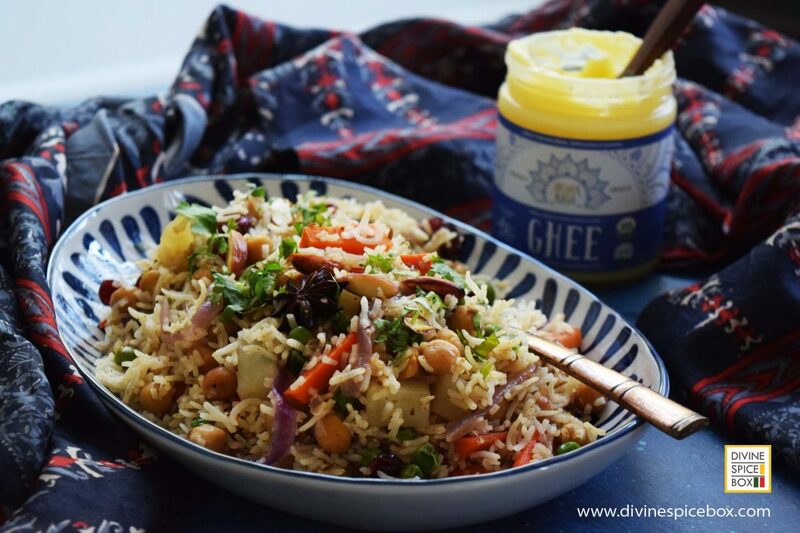 In this review though, I would be talking about their Original ghee and using it to prepare something truly Indian and delicious for you – Pilaf! 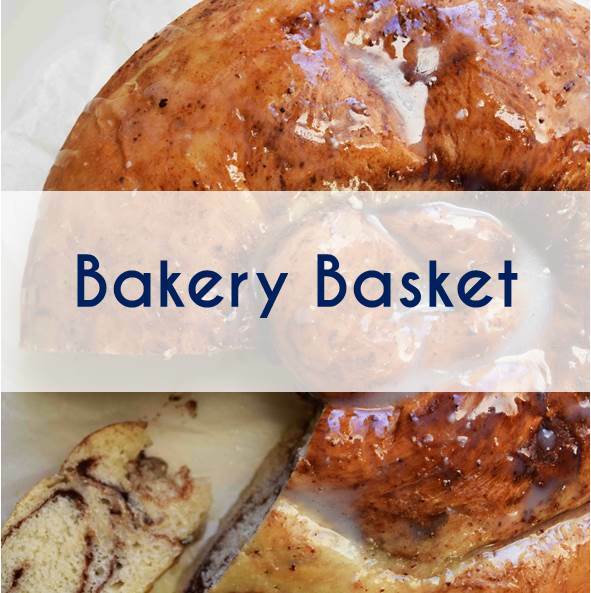 It has a high smoking point, making it perfect for sautéing, frying, baking etc. 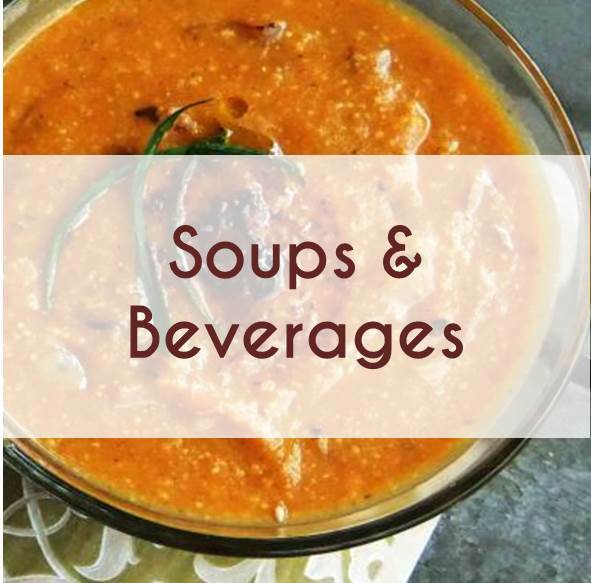 It has a natural nutty flavor which makes it a delicious addition over stews, curries and even popcorn! 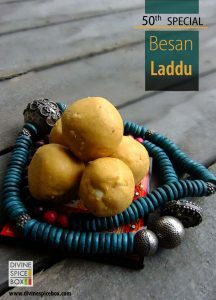 I love to add some on my flatbreads, temper my lentil curries and make laddoos with it. 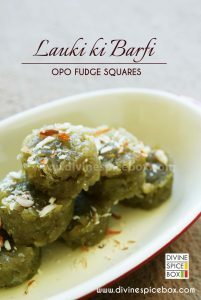 Almost all Indian desserts requiring an addition of fat, uses ghee! 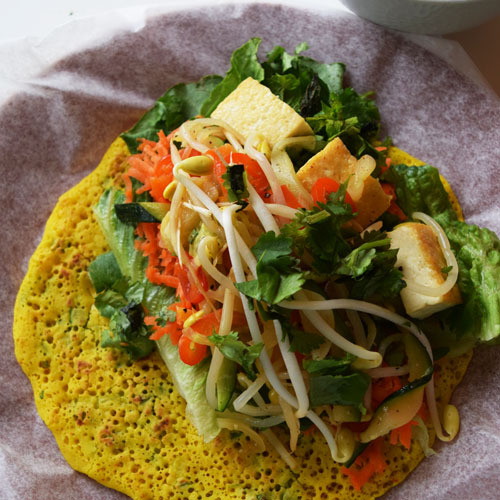 Looking for ways to use ghee in your kitchen? Read this article stating 100 uses for ghee !! Ghee has a very characteristic appearance and texture which makes it unique and easily distinguishable from butter. When hot, ghee has a golden color to it and it appears almost transparent (unlike butter which upon melting looks milky and watery). 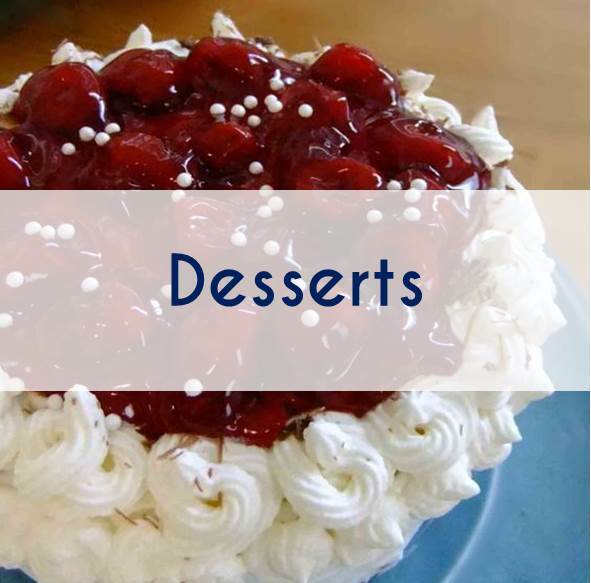 As it cools down and solidifies, it starts to resemble coconut oil in texture. At room temperature though, ghee is usually semi liquid and has a grainy texture (which is the ideal texture). 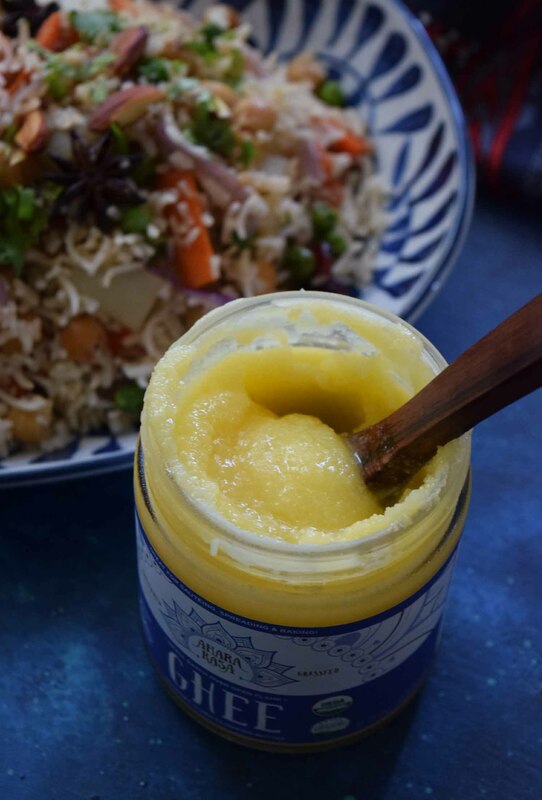 Warm it and make a tempering to add on top of lentils, stews, curries or eat it like butter on toast…you can never go wrong with ghee! I cannot wait now to share with you the pilaf/ Pulao I prepared using the Original ghee. I am using chickpeas, vegetables and dry fruits cooked along with rice in a tempering of ghee and whole spices… it’s addictive! In a non stick pan, heat the ghee. Once the ghee is hot, add in the Almonds and roast till golden brown. Strain out the almonds and keep aside for garnish. Now, add in cumin seeds along with the whole spices and let it roast on medium low till the spices release the aroma. Next, add in the chopped onions and saute till golden brown. 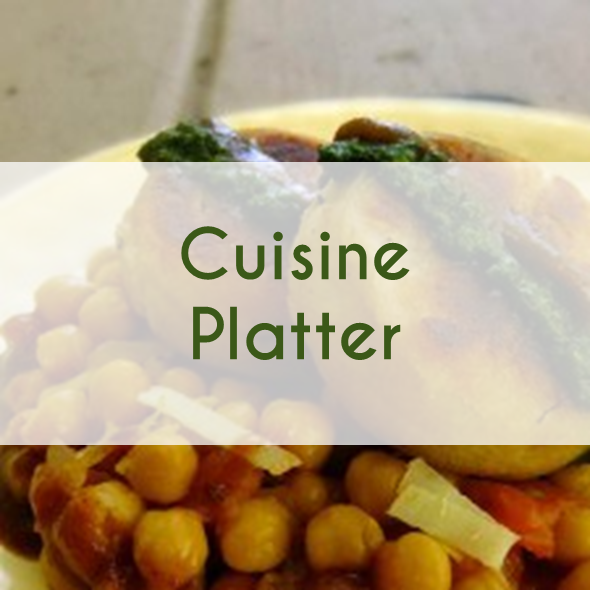 Add in the vegetables along with boiled chickpeas, salt and chili powder and mix together. Cook on medium flame with a lid on the pan till the vegetables are al-dente. Add in the cooked basmati rice and gently mix with the vegetables and chickpeas. Place the lid on the pan again and further cook on a simmer for 5-7 minutes. Lastly, sprinkle the garam masala and the garnishes on top and serve hot. 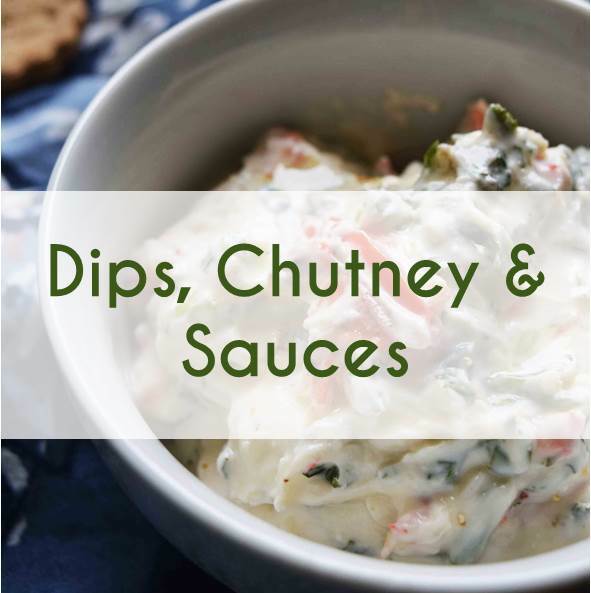 Pour more ghee on top and enjoy with a side of Raita/ yogurt or Dal. Before I finish this review, I would like to thank Ahara Rasa Ghee for their product samples. 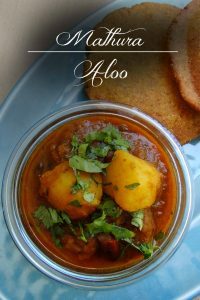 I have always been looking for Authentic Indian ingredients and I am glad to have found ARG. 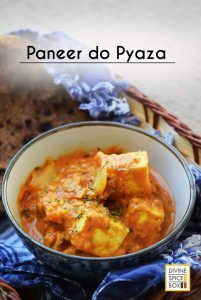 I look forward to creating more of such fun Indian recipes and sharing with you all! Folks, if you are looking for a “good ghee”, hop on to their website and check out their instagram and twitter handles! Tagged Dinner, ghee, indian, Lunch, Meatless Monday, MeatlessMonday, Pilaf, product-recipe, product-review, Pulao, review, Rice.